Home » UK Cinema Charts 7 Sept 2018: Has The Nun Changed Your Viewing Habits? Do you like horror films? Well apparently most of the UK’s cinema-goers this week did as The Nun takes the UK film charts by storm. But did it manage to displace last week’s number one, Disney’s Christopher Robin starring Ewan McGregor. 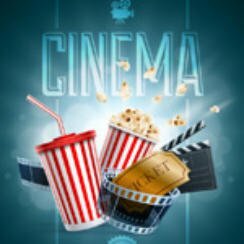 Let’s find out here are the figures for the UK Cinema Charts 7 September 2018. Warner Bros may have another horror hit on their hands as The Nun enters at number one managing impressive opening weekend revenue of nearly £4.1m. Disney’s Christopher Robin slips to number two with almost £884k and gross to date figures of £12.3m after four weeks on release. BlacKkKlansman remains at three whilst musical Mamma Mia: Here we Go Again! is at four. Meanwhile Black 47 is the only other new entry to make the top ten films entering at number ten. American Animals is a new entry that fails to break into the top ten films chart landing at 13 taking £347k from 160 cinemas. One other new entry to mention this week is Hurricane at number 22. To be fair this one only opened in one cinema and took just over £62k. Some of the best deals around at the moment are listed below including an LG Bluray player for around £50-55. If you prefer Sony you can pick up the Sony BDPS1700B for around £70-75, whilst if your budget will stretch a little further you can pick up a 4K Ultra HD Blu-Ray Disc Player for around £150-160. That just abouts concludes our look at the top 10 box office movies this week (UK Cinema Charts 7 September 2018), come back next week to see whether The Nun can hold on to the number one spot on the UK Top 10 Film Charts.